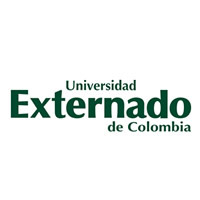 In 1886 Externado University of Colombia was born as an answer to absolutism and the suppression of the freedom of education imposed by the dictatorship of Regeneration. Was called “Externado” because the new institution received the influence of the most modern European educative centers. Externado implied, then, opening, freedom of study and education. At the present moment, Externado University has 11 Faculties. Externado has a program called BoP Challenge. This program seeks to support the development of SMEs in Colombia so that they might acquire the knowledge and support necessary to enter the BoP markets with products that serve populations of low income, hopefully improving their situation simultaneously. This seeks to empower SMEs to contribute solutions to social problems via products and/or services that are both sustainable and profitable and create value both in communities as well as within the company itself. 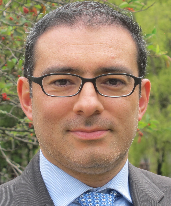 Gustavo A.Yepes Lopez is a professor of corporate social responsibility in different post-graduate programs and continued education at Externado University of Colombia. He is the director of the Management and Social Responsibility department in the Business Administration Faculty, and leads the Group of Research in Management and Social Responsibility. He is an expert in designing and directing programs to promote business development and corporate social responsibility. He is a researcher and professor in business development, corporate social responsibility, and anticorruption, and has certificated experience as a public speaker and consultant in topics such as strategy, business development, and corporate social responsibility. Yepes earned his Bachelor’s degree from Pontificia Universidad Javeriana (Business Administration), a Master’s degree from Externado University (MBA), and is a PhD candidate in Business Sciences.